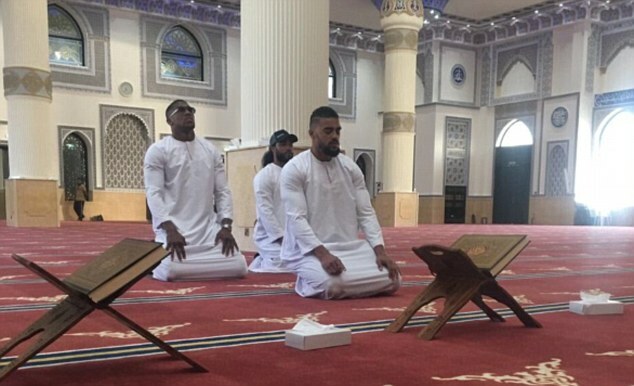 Boxing world champion Anthony Joshua has been hit with a wave of shocking anti-Muslim abuse after he tweeted this picture of himself praying in a mosque. The 27 year old IBF heavyweight title holder is not a Muslim, and has previously said he doesn't follow any religion, but rather has an interest in them. 'Besides luck, hard work and talent - prayer is a solid foundation. It was nice to join my brother as he led through afternoon prayer. 'He was however, greeted with a torrent of criticism by so-called fans after sharing it online. Read below. Someone even called on the Prime Minister Theresa May to deport Joshua for praying in a mosque. 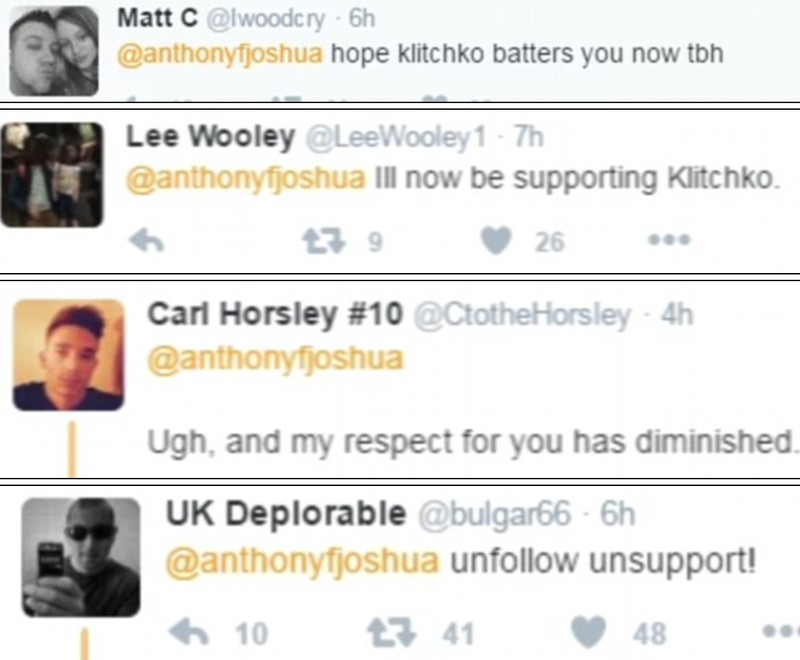 Others said they would be supporting Joshua's opponent Klitchko. 'I was born a Christian but as I've grown into my own man I don't attach myself to a religion - 100 per cent I have faith. 'I'm not going to dig anyone for their beliefs or anything like that, but I definitely feel religion is a big part of life, whether you believe in it or not, in everyone's day-to-day life religion's a big part. 'Prayer and so on, and beliefs, is definitely important to me. 'I don't have a preferred religion - I'd have to do research.